Adam: . . . Okay, so maybe I start off with a “Secret Stash”, then do a “Fantasy Literature Rewind” and then an opinion piece . . .
Jack: Ha ha ha ha HA! Adam: What’s that?! Who’s there? Jack: Oh, it’s just me, lad! Adam: Who are you!? Why can I see right through you? And what’s with the glowing pumpkin? Jack: You don’t remember my name? I’m disappointed. I’m the rogue to end all rogues! I’m the spook of spooks! I’m “he who leads people astray”! I’m the distant light in the cold, dark woods! People call me Jack O’Lantern. Adam: Oh, right. I remember that story. I didn’t think I’d ever meet a legendary ghost in the flesh, though. Jack: Oh, I’m here all right. I should also note that I’m the officially unofficial spirit of Halloween. Your favorite holiday! I should say, I’ve been reading your blog and I am disappointed. A big fan of spooks and monsters like you and barely any mention of the dark side of folklore. Where are the witches and monsters? Where the ghosts and ghouls? Where are the loup garou? Heck, where are the ghost stories!? Adam: Okay, okay. You’re right. 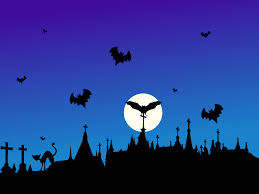 I am a big fan of Halloween and I do love ghost stories. I’ve loved them ever since I was little. I also love legends and tall tales and myths. 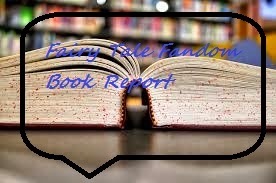 However, here’s the thing, the blog is named Fairy Tale Fandom. I can’t just stop what I’ve been doing to talk about ghost stories. I already break from my mission statement enough when I post about stuff like Pinocchio and Through the Looking-Glass. Jack: You misunderstand me. I’m here to fix this egregious oversight and not really giving you a whole lot of choice. Adam: Uh-oh . . .
Next Time: Fairy Tale Fandom becomes Scary Tale Fandom as Jack O’Lantern’s Halloween Takeover begins. Once Upon a Time Slot. Ah, September is here once again and so is the Fall TV season. Returning with it are TV shows that take inspiration from fairy tales. The CW’s Beauty and the Beast seems to keep on going (not sure, I never got into that show). NBC’s Grimm returns for another season. ABC’s Once Upon a Time also returns. With this season of Once Upon a Time taking inspiration from Disney’s new hit movie Frozen, it seems the show has essentially dropped all pretense of being anything more than a Disney soap opera. However, this has gotten me thinking about the fairy tale derived TV shows of the past. It especially got me thinking about old fairy tale cartoons. We often hear fairy tale fans and fairy tale bloggers talk about how their love for fairy tales was kindled by some particular animated movie or other. We’ve heard many people talk about how they learned to love fairy tales from books. 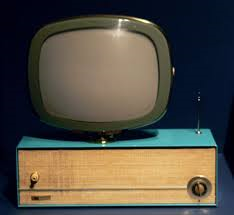 But how many of us can claim that our love of fairy tales started with television? Well, I can, for one. Don’t get me wrong. I watched Disney animated movies too, just like everyone else. However, the Disney fairy tale movies all seemed kind of, well, princess-y. They often had more girl appeal than guy appeal. The exception, I suppose, was Aladdin which I wasn’t sure was a fairy tale or not (Arabian Nights were a cloudy area for me at the time). I gravitated more to non-fairy tale stuff like Hercules, Tarzan and The Jungle Book. Also, as I’ve stated before, in our modern pop culture world, it’s awfully easy to take the Disney stuff for granted. What I needed was a reason to give fairy tales a second look. That’s where Grimm’s Fairy Tale Classics came in. If you clicked on the link, I’m sorry but you may have that song in your head all day. Anyway, Grimm’s Fairy Tale Classics was the American version of a Japanese anime series that adapted stories from the Brothers Grimm and aired on Nickelodeon in the ‘90s. This was the show that showed me that there were tales out there beyond the ones I knew. It showed me that Disney did not own the exclusive rights to the fairy tale. Many stories I love like “How Six Men Got On in the World”, “Jorinda and Joringel” and “The Shoes that Were Danced to Pieces” were introduced to me on that show. They also sometimes still kept in some of the controversial parts at least before they were edited out later. I remember seeing an earlier cut of their adaptation of “Allerleirauh”, entitled “Coat of Many Colors” and remember that they still kept the part about the king wanting to marry his daughter. They just played it as the king going mad from some sickness, though. I still find myself thinking back to that show sometimes and wishing it was on DVD, though I have a feeling it wouldn’t hold up as well for me today without the nostalgia goggles on (and yes, I do have those titles linked to their respective videos, but the quality isn’t great and they’re a bit extralegal in this form). However, that’s not all there is to it. Back in the ‘90s, the world of TV animation was filled with all sorts of off-brand, often-imported TV shows that used fairy tales and children’s fantasy stories as their inspiration. There was a Pinocchio show. Reading comments about it from viewers online suggests that many people thought it was kind of depressing. This is actually a good sign (compared to the Disney version, anything would seem depressing). There was a Little Mermaid show. Heck, I just found out when researching this post that there was a Cinderella show. Most of this renewed interest in fairy tale cartoons was probably a reaction to the rebirth of Disney's animation department following the release of their version of The Little Mermaid. Now, I actually didn’t have the luck to watch all these cartoons. However, I did get to see Fox’s Peter Pan and the Pirates. Fox’s Peter Pan and the Pirates was a cartoon that aired on Fox and it may have been what made me into a Peter Pan fan. The show didn’t really follow the story from the original play or novel. 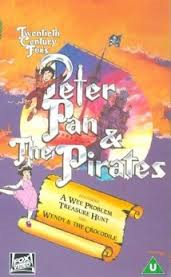 It mostly dealt with Peter, the Darling children and the Lost Boys having new adventures in Neverland. However, it did introduce me to aspects of the Peter Pan story that I didn’t know from the Disney animated version. This show is what informed me that the pirates other than Hook and Smee and the Lost Boys actually had names (Nibs, Toodles, Slightly, etc). Peter himself was one of the best parts. The Peter Pan on Fox’s Peter Pan and the Pirates was cocky, arrogant, obnoxious, thoughtless and couldn’t take anything seriously. He just had loads of personality. A lot of his traits were negative, but he was still a very fun character. In other words, he was much more like the young antihero that J.M. Barrie wrote about in his children’s pantomime than the impish scamp that Disney put on the big screen. On top of all this, we got Tim Curry providing the voice of Captain Hook! Now, not all cartoons with fairy tale names did all that much to give people a second look at fairy tales. I also remember watching The Fantastic Voyages of Sinbad the Sailor. It was a fun show, but it did pretty much the same thing that every other Sinbad show or movie has done. Essentially, it showed the adventures of a generic Arabian seafarer named Sinbad (ever notice just how many Sinbad shows and movies there are that don’t really have much to do with the actual story of “Sinbad the Sailor”?). Also, the show had a strange tendency of drawing on Greek mythology more than Arabic folklore. There are still fairy tale derived cartoons on TV, but most of the ones I see coming out are mash-ups. There’s an Ever After High show coming to Netflix and The Hub has Teenage Fairy Tale Dropouts (which, sadly, I have a hard time seeing for review purposes). I suppose this might be one of the reasons I’m so hard on shows like Once Upon a Time. I had hoped that we might get something that would introduce adults to new fairy tales the way Grimm’s Fairy Tale Classics did for me as a child. Still, sometimes you can find obscure fairy tales in unexpected places. A while ago I turned on the TV and was surprised to find that the preschool show Super Why was airing a “Momotaro” episode. I guess hope really does lie with the younger generation. Anyway, that’s my two cents. 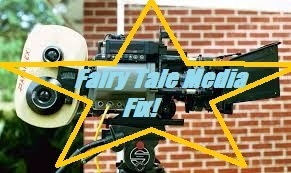 If you have anything to say about fairy tale cartoons or fond TV fairy tale memories, post them in the comments. And what fairy tale film from the days of yesteryear do we have to show for it? It’s Tom Thumb from 1958. Now, before we get started on the review, let’s think about this for a second. There’s a Tom Thumb movie. An actual Tom Thumb movie. Hey fairy tale fans, when’s the last time you heard about anything Tom Thumb based? Was Tom Thumb in any of the Shrek movies? Not that I remember. Has Tom Thumb been on Once Upon a Time? Nope. Is the daughter of Tom Thumb attending Ever After High? A quick check of their website says “no”. So, this is kind of a rare thing. He’s not exactly from an obscure fairy tale, but he’s still kind of on the edges of our fairy tale consciousness. My inner comic book fan tells me that Tom Thumb’s situation is not all that dissimilar to the more diminutive superhero characters like Ant-Man and the Atom. They’re memorable for being a unique creation within their greater world or genre but limited in appeal and popularity (though, we are supposedly getting an Ant-Man movie soon). Now, the movie opens up with a credit that says “from a story by the Brothers Grimm”, which I actually find a bit troubling. You see, the story of “Tom Thumb” is really much more English than anything. The Grimms' tales were German. In fact, I recall reading somewhere that it was one of the first English fairy tales ever written down. Oh, sure, there is a German equivalent. In fact, there are two. There’s “Thumbling” and “Thumbling’s Travels”. Heck, looking across cultures for similar motifs, you can even claim Japan’s “Issun-Boshi”. But the title “Tom Thumb” is distinctly English. Anyway, the movie starts off like, well, a completely different fairy tale. Specifically, it starts off like England’s tale of “The Three Wishes” (which, incidentally, is also not Grimm). A woodcutter (Bernard Miles), is in the forest attempting to cut down a big oak tree when he’s interrupted by The Queen of the Forest (June Thorburn) who pleads with him not to cut down the tree. The woodcutter agrees and is given three wishes. He goes home to his wife, who is making cabbage for supper. He tries to tell her about what happened but gets distracted and wishes for a sausage, which appears in front of him. His wife then gets upset with him and wishes the sausage was on the end of his nose. It, of course, appears there. Then, with no other options, they wish the sausage gone. Having wasted these wishes, the woodcutter suggests that maybe the Forest Queen will give them one more “little wish”. So, they wish for a child. Later that night, a tiny person (Russ Tamblyn) comes to their door dressed in leaves. He claims to be their son, Tom. 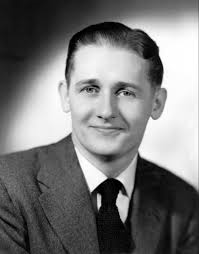 That’s right, it’s Alan Young, also known as Wilbur from Mister Ed (I know he's been in other things but I really can't look at this guy and not think "Mister Ed"). It’s really not a bad little film. However, it really only has a little bit to do with the original story of “Tom Thumb”. There’s a whole bunch of stuff added to the story and other stuff taken out. It’s cute. The effects were excellent for their time. The music is decent. I actually did like that they included the story of “The Three Wishes” in there (if you’re going to add to a semi-obscure fairy tale, why not choose stuff from another obscure fairy tale). It just didn’t really light any sort of fairy fire in my heart. I’d be okay with never watching this again. Anyway, I’ll include a link to the original “Tom Thumb” story (click the title). It’s probably been a while since anyone has read it and who knows when the little guy will get another chance at stardom. So far, writing for this blog has been quite the experience. I’ve made contacts with all sorts of fairy tale fans and learned and done so many things. I’ve learned how to promote my blog. I’ve learned to enjoy the ballet. And, of course, I’ve read lots and lots of fairy tales. However, a few weeks ago, I got an offer that’s been a high point of my blogging career. 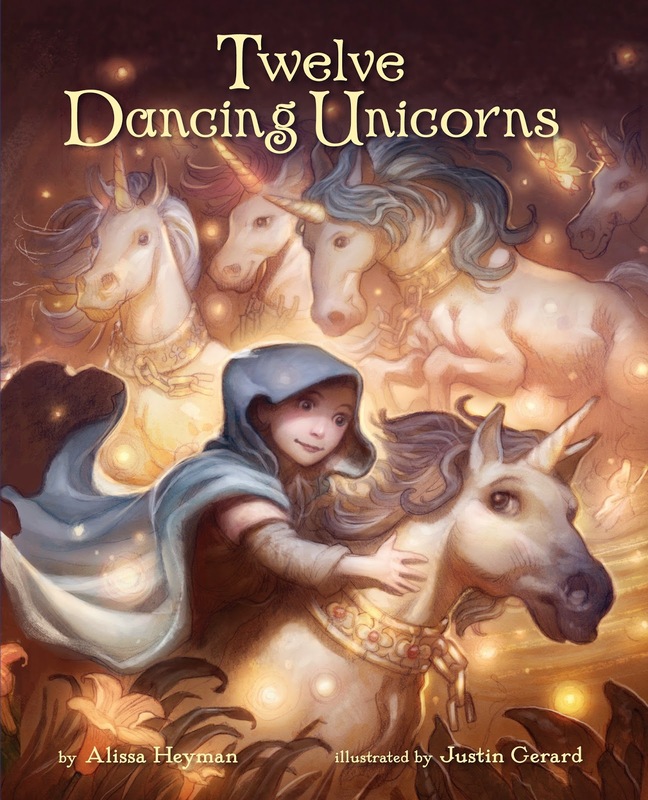 I was contacted by Sterling Publishing and asked to participate in the official blog tour for the new picture book Twelve Dancing Unicorns by Alissa Heyman and Justin Gerard. Naturally, I agreed. I mean, I so rarely get to review brand new books and picture books even less so. However, Fairy Tale Fandom isn’t really a children’s blog. It’s a fan blog. I’m a bit out of the loop when it comes to stuff for this demographic. I am library trained, though. I could check my textbooks and the other literature and refresh my reviewing and evaluating skills, and I did. However, I still felt the need to call on some reinforcements. So, I called on the assistance of my 5-year old niece. The story is based on “The Twelve Dancing Princesses” aka “The Shoes that Were Danced to Pieces” from the collection by the Brothers Grimm. In this case though, it is twelve unicorns who escape their chains each night. Also, instead of being followed by a soldier, a little girl takes the role of hero. So, with review copy in hand, I headed over to my sister’s place for story time. At the end, I asked my niece a few questions. Q: So, did you like the story? Q: Did you like the little girl? Q: How about the king? Because he started out as kind of a mean guy who kept the unicorns locked up. A: But now he gets to dance with the unicorns. Q: Would you want to hear this story again? Q: Is there anything else you want to say about the story? A: I want that one! [points at illustration of unicorn] No, that one! [points at different unicorn] No, I want the littlest one! Okay, I’ll admit that my interviewing skills could use a little work. However, she sat through the entire story, which I find to be a good sign when dealing with any book and any five-year old. Also, she verbally interjected a couple times during the story (“invisible! ?”), which I take as a sign that she was getting into it. Now, on to my own part of the review. First of all, this is a beautiful picture book. The illustrations by Justin Gerard are fantastic. I’m not sure what medium the illustrator used. However, there’s a certain luminescent quality to the artwork. It’s as if there’s a soft glow coming from some of the pictures. This does a terrific job of conveying the type of magic typically associated with unicorns. The pictures complement the story by Alissa Heyman very well. One thing to be noted is that this is a picture book aimed at the older end of the picture book audience. A quick search shows that this book is directed towards children ages 4-7. So, that’s more of an early school age audience than a pre-school age one. So, the text seems far more focused on simply telling a story straight out than using the many conventions picture book text uses for the pre-school set like rhyming and repetition. In fact, some of the vocabulary like “iridescent” might even seem a bit challenging at first glance. However, my niece seemed to follow along just fine. So, if you’ve got a child in your life who is about kindergarten age, this book might be just right for them (especially if they’re crazy about unicorns). If the child in your life is only about two or three years old, then you may want to wait on this one. Something that will interest fairy tale fans is comparing this version of the story to the more well-known versions. By changing the story’s moving parts, it becomes a new story with its own message. The original “Twelve Dancing Princesses” was essentially a story about twelve rebellious teenage girls escaping from where they’re supposed to be to someplace that is both wondrous but with an undertone of the sinister. The soldier who follows them is a man who’s set on solving the mystery in hopes that he may gain the reward and make a life for himself now that his military service has ended. However, in Twelve Dancing Unicorns, with the shift from princesses to unicorns, you now have twelve animals that are not where they’re meant to be and escape to a magical place that is where they’re meant to be. The little girl, as opposed to the soldier, is acting more out of empathy towards the unicorns than in expectation of a reward. So, what was once a story about a king trying to get his family in line becomes a story about empathy and the folly of trying to hold captive animals that the king does not fully understand. So, what we have is a beautiful picture book for early school-age kids that reframes a classic tale and turns it into something all its own while still keeping the structure of the plot the same. I liked it and my niece liked it and would listen to it again. I’d say that’s a pretty good endorsement. If you’re in the market for picture books either as a picture book collector or because you have a child in your life to read them to, give this one a try. It’s an especially good buy for those who are fans of fairy tales or unicorns. 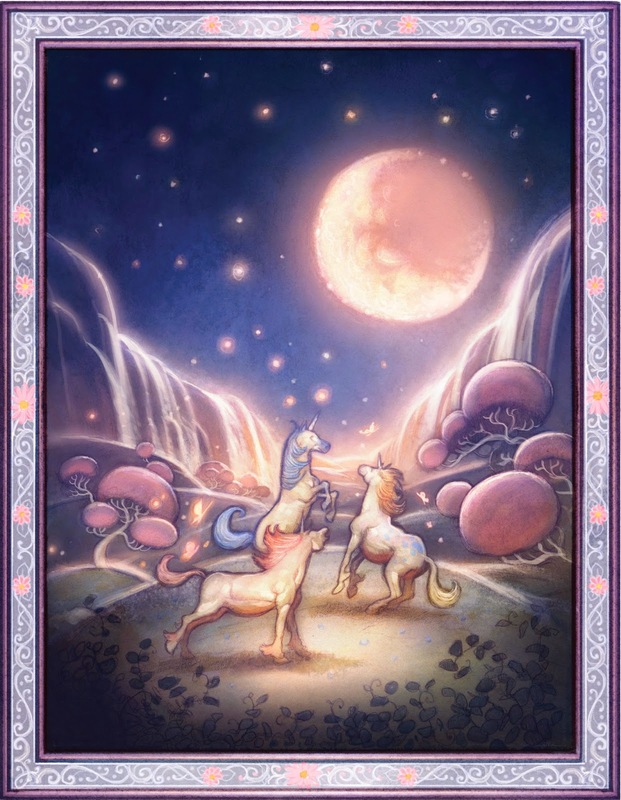 I think it’s safe to say that Twelve Dancing Unicorns by Alissa Heyman and Justin Gerard has won the Fairy Tale Fandom stamp of approval.